Published by Cyril Huze July 14th, 2017	in Customs, Editorial and Engines. 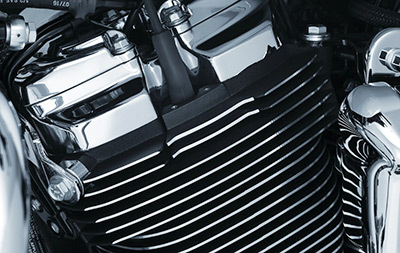 These Kuryakyn Spark Plug Covers fill the visible gap on the cylinder heads for a completely finned appearance. Kuryakyn Finned Spark Plug Covers. P/N 7186 MSRP: $89.99.